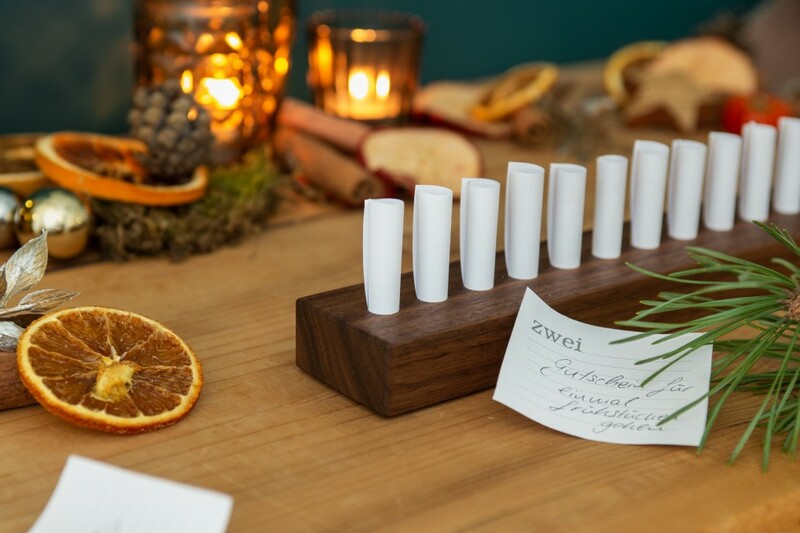 Get creative and make either 24 vouchers or put down quotes to get into the Christmas spirit. 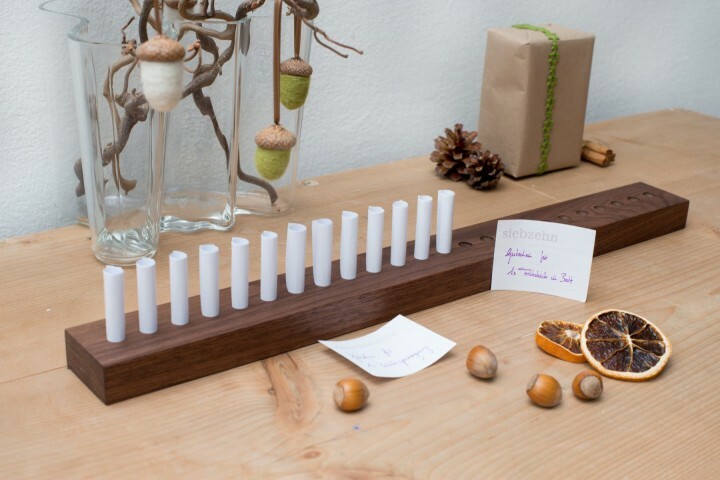 Roll up little notes and put them in the slots of the voucher Advent calendar made from solid nut wood and use the calendar for years to come. The shipping includes ready-made voucher templates for the first year for you to cut out. 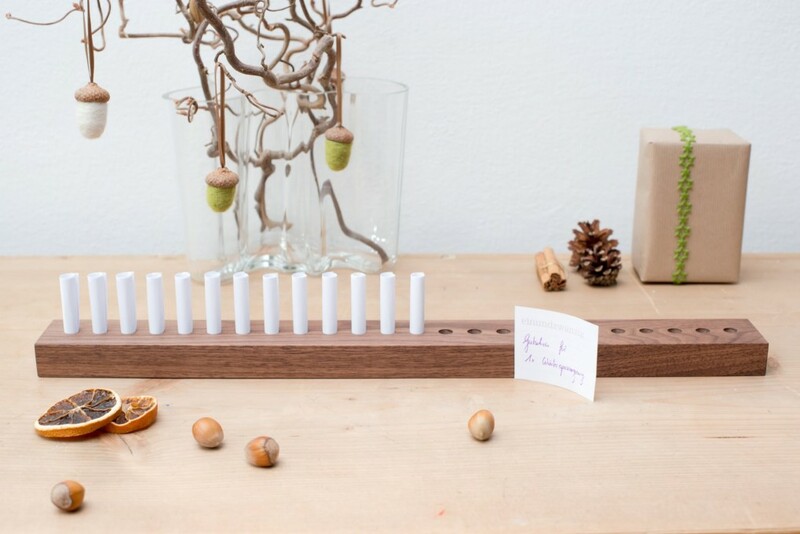 Simply write down your gift or message, roll them up and stick them in the holes. What an individual and intimate was of counting down to Christmas. No review yet - write the first!